3Shape Implants season is software that has helped the dental professionals to design and print accurate dental drill guides that can be used and applied. 3Shape is an innovation in the software industry that has been developed for planning and printing the guide design. The software is not available in United States now and will be launched in the European countries in April 2014. The printing is done by the Projet 3510 printer which uses the stone plast material. This material has a choice of opaque or transparent and then the guides are printed with the ready to print option. Exported or readymade STL files are exported to produce these guides. It is indeed very happy news that 3D Systems has come up with a solution for all dental lab customers. 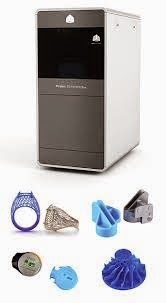 The Projet 3510 is a solution for all manufacturing systems that has merged the most important providers to make powerful and affordable solutions for the dental industry. 3D Systems have introduced a very innovative technology which has overturned the world and has experienced a new way of printing things. The 3D printing technology has successfully replaced the traditional methods of printing things and is being used in various industries across the world. The company provides integrated solutions for 3D designing, modeling and inspecting the tools. The company provides solutions for creating, designing, communicating and producing the real parts. Custom made parts are printed so that machines can use them. Various industries have benefited by this technology and have printed unimaginable things till date. The printing of the dental implant drill guides is a revolution in the dental industry by this digital workflow has made dental procedures highly precise and affordable to all. The perfect blend of two big names that has made life easier of many people who have been looking for affordable dental treatments.